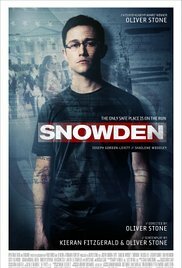 Yuri the Hacker has two posters on his wall, one a poster for Oliver Stone’s forthcoming movie about Edward Snowden and another of Julian Assange. But let’s say Gogol were still alive, what kind of a short story would Yuri merit? What would be Yuri’s “Overcoat?” One thing that Yuri and Gogol’s famous character Akaky Akakievich have in common is that they are both bureaucrats. Yuri is just a cog in the wheel of Russian hacking, monitoring the private e mails of DNC members to see who has or doesn’t have accounts with Ashley Madison ("Hack of Democrats' Accounts Was Wider Than Believed, Officials Say," NYT, 8/10/16)? The more important jobs like describing the moment when Hillary Clinton and Barack Obama created ISIS are left to higher ups ("Donald Trump Calls Obama 'Founder of ISIS' and Says It Honors Him," NYT, 8/10/16). Gogol’s character loses his overcoat, but Yuri loses his shirt when he falls for a bum tip on the black market. Yuri has visions of glory in chasing his Holy Grail, which is proof that Hillary Clinton has demanded a pound of flesh when one of the organizations she had given a speech to, couldn’t pony up with the $450,000 fee. Yuri, like Hillary’s adversary in the hotly contested presidential election, doesn't understand metaphor until it's too late and he has already flushed his hard earned rubles down the drain. Russia has many great poets like Pushkin, Mandelstam, Mayakovsky and Pasternak, but under the Putin regime figures of speech have been banned and Yuri doesn't even enjoy the pleasures of hyperbole. After his failed attempt, Yuri starts to go mad, as anyone would who sought to learn about the private lives of politicians whose reputations are already besmirched. Reality starts to blur and he begins to haunt laundromats to find those American politicians (naturally Democrats) who are willing to air their dirty laundry. Yuri grows ill and becomes delirious and in a final scene finally succumbs. But his confused ghost is reported to haunt the servers, the waiters and waitresses who wait on the apparatchiks in the Kremlin’s executive dining room.